Come see us at the Hamilton County Board of Elections tomorrow – Friday, Nov. 2 from 4:30-6pm. We’re having a press conference about the voting machine problem. Also, we’re having dinner at Venice on Vine 1301 Vine afterwards from 6-8pm. Jill Stein, Green Party presidential candidate will be there. SPECIAL DEEP DISCOUNT for FREE PRESS members and anyone on your list-serve. Just mention FREE PRESS at the Drexel Box-Office when coming to see BAG-IT, and be admitted for only $6 … that’s $3.00 off general admission (reg. $9) and $1.50 off Matinee Admission (reg. $7.50) to see the film. Showing Wednesday, October 3, Sunday, October 7, and Tuesday, October 9. An Award-winning and extremely funny environmental film about the effects of the millions of plastic bags we use in America and how it effects our waterways, oceans, landscape and even our own bodies. Presented by the Drexel Theatre and the Franklin Park Conservatory. Get involved in Election Protection this year! We need volunteers for a number of different duties between now and Election Day. Work from home, or observe at the polls, or work from central headquarters on Election Day. Everyone’s skills are needed from computer work, video, legal services, to just answering the phone. 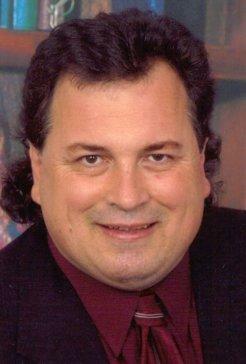 Ohio Election Protection meeting: Tuesday, Sept. 11, 6:30pm, Bob Fitrakis’ home, 1021 E. Broad St., Columbus. 253-2571, truth@freepress.org. Green Party Vice Presidential candidate Cheri Honkala will visit Columbus on Saturday October 13, 2012. Honkala is running with the Green’s presidential candidate, Jill Stein. 6:30pm-midnight – Cheri will be joining Dream Act activists at the Second Saturday Salon 6:30pm-midnight, also at 1021 E. Broad Street. There will also be a presentation by Anti-Racist Action and a celebration of the first anniversary of the Occupy movement in Columbus. Bob was politically active in his college years as a Ford Foundation Fellow working in the Michigan State legislature. He was a member of the Human Rights Party in Michigan, founded by Zolton Ferency and worked with activists like Michael Moore. He also was a founder of the Democratic Socialist caucus in the Michigan Democratic Party in the late 70s and early 80s. He was one of the founding members of the Democratic Socialists of America. 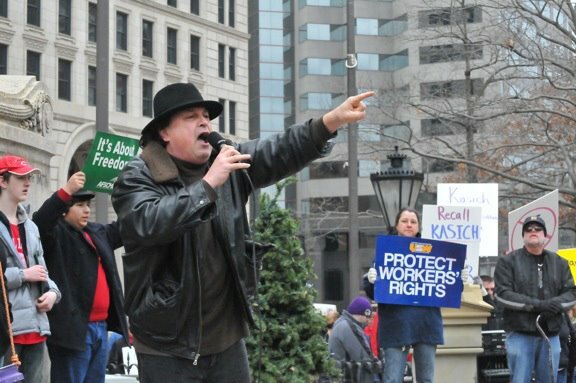 He founded the group Democratic Socialists of Central Ohio (DSCO) in 1988, served on the National Political Committee of DSA in the mid-1990s, and remains a member. Bob helped manage the successful campaigns of Democrats Mary Jo Kilroy for Columbus School Board and Anne Taylor for Judge in 1991. He was a Democratic candidate for Congress in the 12th district in 1992, running against incumbent John Kasich. Bob was a Jerry Brown delegate to the 1992 National Democratic Convention and represented Brown at the platform hearings in Washington DC that year, opposing Clinton for his support of NAFTA and the death penalty. He also served on the Franklin County Democratic Central Committee under Chair Fran Ryan and was the elected 55th ward person from 1996-2000. In 2003, Bob ran as a Green Party endorsed candidate for Columbus City Council in the primary and narrowly missed advancing to the general election. Bob with his good friend Bill Moss ran as endorsed Greens for Columbus School Board against a united slate of Democratic and Republican candidates to barely defeat them in the primary. Bob ran for Governor of Ohio in 2006, where he was able to expose the election fraud activities of his Republican opponent the Ohio Secretary of State J. Kenneth Blackwell. In 2008 he was a delegate to National Green Party convention. 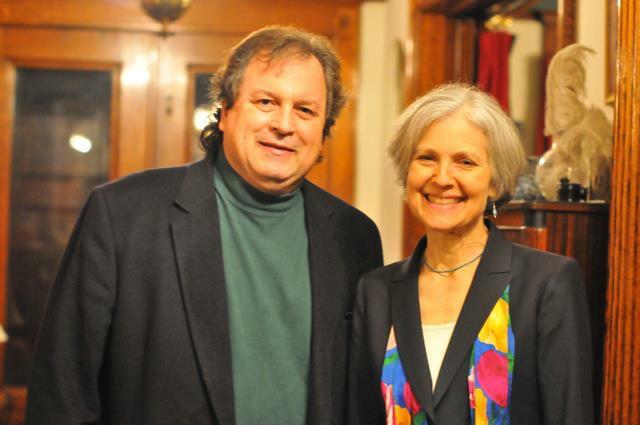 Bob has been elected as a Central Committee member for the Green Party of Franklin County and State of Ohio since 2010 and serves as co-Chair of the Ohio Green Party with Anita Rios. He has served as a Near East Area Commissioner in Columbus since 2003. Bob Fitrakis on “Fight Back”: The Davis Besse Nuclear Plant and Ohio Green Party Senate candidate Joe DeMare Bob interviews Michael Keegan of Beyond Nuclear and Joe DeMare, the Green Party’s candidate for Ohio Senate. Ohio Green Party Co-Chair Bob Fitrakis successfully filed petitions to be placed on the ballot in the new Franklin County 3rd Congressional district. 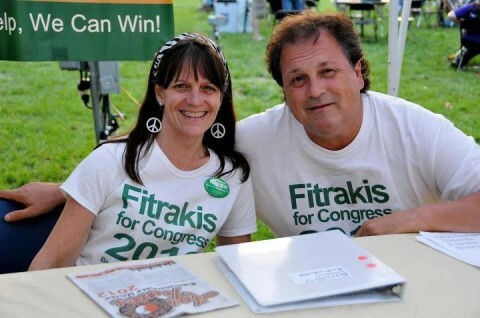 Fitrakis, a lifelong educator is an educator of political science at Columbus State Community College and an attorney, who represented the Green Party in its attempt to place the Green Party officially on the ballot in 2008. Constitutional amendment to make voting a universal Constitutional right. He will call for Congress to overturn Citizens United, stating that money is not speech and corporations are not people. Fitrakis also supports the Occupy movement and pledges that his policies will expose the power and privileges of the 1% at the expense of the 99%. As a candidate, Fitrakis is committed to closing down Ohio’s nuclear plants and halting all fracking practices in the United States. 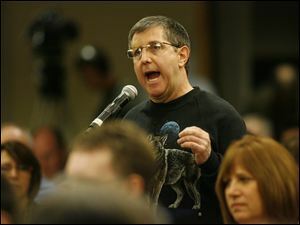 Bob Fitrakis is the co-chair of the Ohio Green Party and ran for governor of Ohio for the Green Party in 2006. He works as a Political Science Professor in the Social Sciences department at Columbus State Community College, where he won the Distinguished Teaching Award in 1991. He was a Ford Foundation Fellow to the Michigan State legislature. He is the Editor of the Free Press and founder of freepress.org. He has a Ph.D. in Political Science from Wayne State University and a J.D. from The Ohio State University Moritz College of Law. He co-authored “What Happened in Ohio? A documentary record of theft and fraud in the 2004 election” (New Press) and has authored or co-authored eleven other books. Fitrakis has won eleven investigative journalism awards from the Cleveland Press Club, Project Censored, and the Ohio Society of Professional Journalists, among others. He appears in eleven documentary films. He was a columnist and investigative reporter for Columbus Alive for seven years. He currently hosts radio talk shows on Talktainmentradio.com internet radio on Wednesdays from 7-8pm and WCRS 98.3/102.1 community radio in Columbus.